Partnership brings established international brand to South African consumers with complementary barrier and cleansing presentations for dry skins. The constant search for relief from the irritation caused by dry skin, has led to the availability of a large range of products for various skin conditions such as atopic dermatitis and ichthyosis. 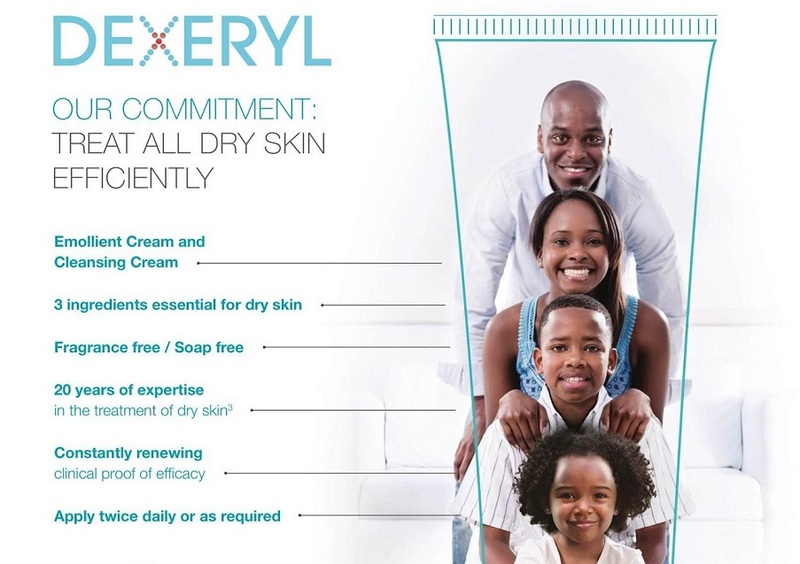 Adcock Ingram OTC has recently entered a partnership with French-based Pierre Fabre Dermatologie, to bring the well-established and internationally available Dexeryl range to the benefit of the South African consumer. Dexeryl Emollient Cream creates a physical barrier against external damage to the skin, inhibiting evaporation and consequently preventing dehydration of the skin. This makes Dexeryl Emollient Cream a medical device, which is applied as a thin layer to the skin once or twice daily, or more often if required, but not exceeding six times per day. The filmogenic effect of white soft paraffin and liquid paraffin, together with the hydrating effect of glycerol, help to maintain the moisture balance in the skin. Glycerol, as a deep moisturising agent, stimulates skin elasticity. The combination of agents in Dexeryl Emollient Cream also reduces, and helps to prevent, irritation of the skin. Complementary to the Dexeryl Emollient Cream is the soap- and fragrance-free cleanser, Dexeryl Cleansing Cream, which is specially formulated as a gentle tear-free, daily cleanser for all types of very dry skin in infants, children and adults. The two products can be used together to manage skin dryness. The Dexeryl range is designed for skin dryness which may be experienced by people undergoing skin aging or suffering from conditions such as diabetes, atopic dermatitis, psoriasis, icthyosis or from the side effects of oncologic treatment. Available in pharmacies without a prescription, the Dexeryl Emollient Cream and Cleansing Cream are marketed at a price-competitive level. 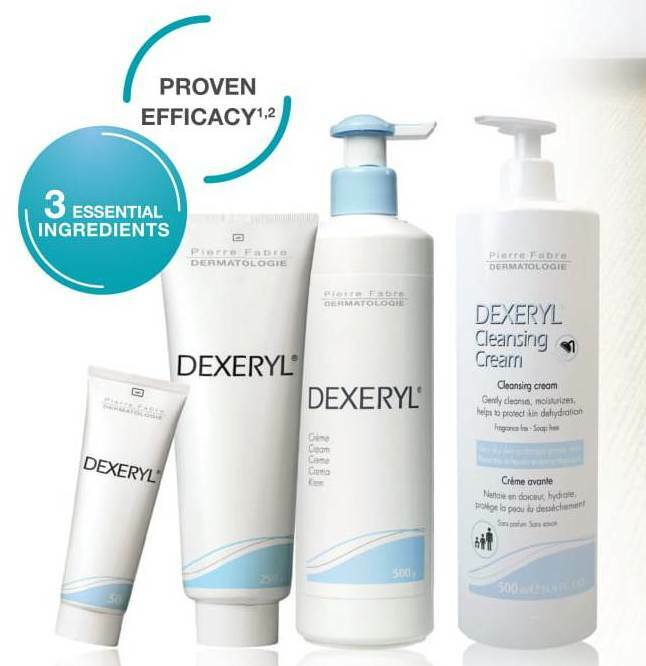 The Dexeryl skincare and hygiene products are marketed by Adcock Ingram OTC and are currently available in independent pharmacies. Adcock Ingram Healthcare (Pty) Ltd. Private Bag X69, Bryanston, 2021, South Africa.